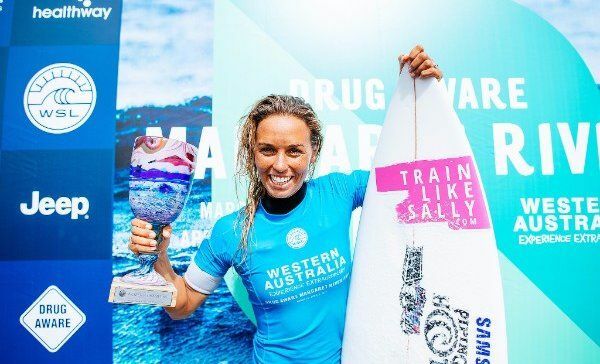 Sally Fitzgibbons (AUS) took down WSL Champions Tyler Wright (AUS) and Stephanie Gilmore (AUS) today en route to her victory at the Drug Aware Margaret River Pro. MARGARET RIVER, Western Australia/AUS (Saturday, April 8, 2017) – Sally Fitzgibbons (AUS) has won the Drug Aware Margaret River Pro today after taking down 2016 WSL Champion Tyler Wright (AUS) in the Final. 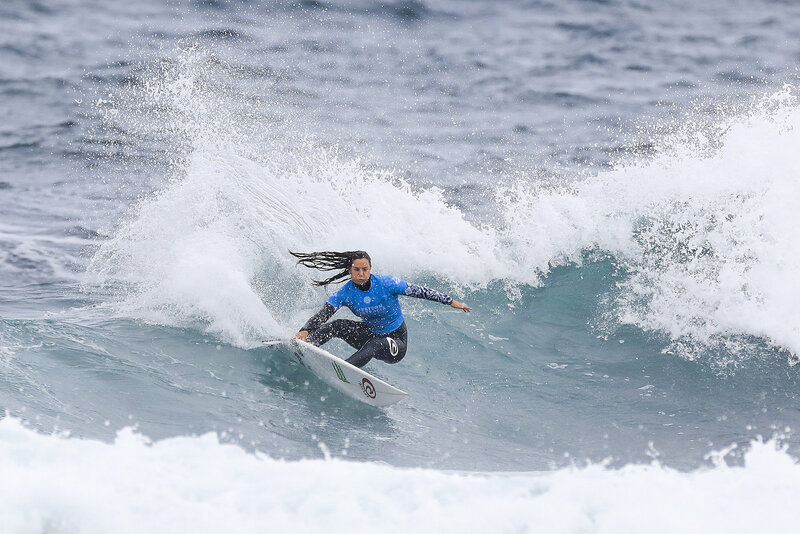 The Final Day of the women’s event witnessed the remaining four competitors compete in three-to-five foot (1 – 1.5 metre) conditions at Main Break in Western Australia. The second stop of the World Surf League (WSL) Championship Tour (CT), the Drug Aware Margaret River Pro, saw Fitzgibbons claim her first ever win in Margaret River, marking her 10th CT victory. Fitzgibbons’ success today now ties her for World No. 1 on the Jeep Leaderboard with six-time WSL Champion Stephanie Gilmore (AUS). Sally Fitzgibbons (AUS) charged through her Final and Semifinal matchups to earn her 10th CT event win. Reigning WSL Champion and defending event winner Tyler Wright (AUS) earned a runner-up finish today and will move up to 3rd on the Jeep Leaderboard. Fitzgibbons had the mammoth task of overcoming six-time WSL Champion Gilmore in Semifinal 2. Gilmore played a patient game waiting for the sets, but was not able to post required scores, leaving her only 0.50-points short of the heat win. Gilmore was frustrated by her performance, but will remain atop the Jeep Leaderboard. Six-time WSL Champion Stephanie Gilmore (AUS) will exit with a 3rd place result at the Drug Aware Margaret River Pro. On her way to the final, Wright came up against Californian Sage Erickson (USA) who had been on a tear all event. Erickson was put in a combination early, but put up a great fight to come back into contention in the second half of the heat. Erickson’s 3rd place finish matches her best result on the elite CT level and stamps her best ever finish at the Drug Aware Margaret River Pro. Erickson now moves to 10th place on the Jeep Rankings. With the men’s final series still remaining, event organizers will reconvene tomorrow at 6:45 a.m. local time to make the next call.